The award-winning documentary, If A Tree Falls: A Story of the Earth Liberation Front, premiered at Sundance last spring and continues to screen in theaters across the globe. The film, which aired on PBS earlier this fall and is now available on DVD, details the events that led to the imprisonment of environmental activist Daniel McGowan and raises critical questions about ecological crisis, terrorism, and government repression of political activists. Those who see If A Tree Falls are likely to be left with a number of lingering questions. How is Daniel doing now? When will he be released from prison? What does he think of the movie? Daniel, who is currently serving a seven-year sentence in the Communications Management Unit at FCI Terre Haute in Indiana, answered some of these questions and others in the following interview about the film, prison life, and his thoughts about the future. Question: What was it like being interviewed and filmed while you were on house arrest awaiting trial during such an obviously difficult time in your life? How present and intrusive where the filmmakers? Did it add stress to your situation? Daniel McGowan: It was at times frustrating and other times, comforting. What I mean is that throughout the period of house arrest, I felt stifled and unable to be productive. Having the filmmakers over for half of the day helped me motivate, get out of bed and organize my day. In that way, it countered the severe monotony of being stuck in an apartment and helped jolt me out of periods of depression. The whole experience was surreal—wearing a microphone for part of the day after being recorded on a wiretap by an informant was one of these bizarre instances. There were times that I said something and realized that it may end up in the film! That was disconcerting, as was the negative impact a camera had on social situations. Was it a hard decision to agree to be the subject of this film during that time? What did you hope would be the result? DM: The decision to allow myself to be filmed would never have been made if I had not previously known Marshall Curry. I worked for his wife [Elizabeth Martin, founder and former Executive Director of WomensLaw.org] and knew him somewhat and was familiar with his previous film, Street Fight. Originally, my sister raised the issue as I was flying back from Oregon after getting bonded out of jail in 2006. The thought was basically that Marshall was considering my situation as a topic for a film and whether or not that eventually happened, footage of me coming home would be essential. Once I got my ankle bracelet, so probation could monitor me, and got settled in, we spoke at length about his ideas and we took it from there, setting up some longer background interviews. After a few months, despite frequent grumblings on my part, I was fully committed to it. Having seen my indictment announced on cable TV and seeing how we were all being portrayed as crazy, dangerous terrorists, I felt strongly that it needed to be countered. The film to me was a way to challenge the narrative the prosecution and media put out about us, knowing it was a long-term thing. My hope was that people would be able to hear my own thoughts and version of events instead of accepting the mainstream media version, which was exceedingly shallow and accepting of the law enforcement view. Were you able to watch the film from prison when it aired on PBS? Do you even want to watch it? DM: When I found out PBS was going to air If a Tree Falls, I was excited that huge amounts of people nationwide were going to view it. However, I have no intention of viewing it while in prison. There are deeply personal scenes, especially interviews with my wife and the day I turned myself in that I want to view by myself, at home. I want to have the chance to emotionally deal with that in a safe environment. As the film’s primary subject, what is the number one effect that you would like the film to have on viewers? In general, what do you hope the film achieves? DM: It is difficult to dive into some of these areas because I haven’t yet seen the film. While I have spoken to many people who have seen the film, and read many reviews, there really is no substitute for seeing it myself. That said, I hope people see it and feel a form of discomfort—not in a bad way, but one that has them thinking about what they saw for a few days or weeks after. That discomfort would be because the film challenged previously held ideas, like what a terrorist is, who the kind of people are that commit property destruction, and whether the US government really is on the right path environmentally, with prisons and the isolation of political prisoners in special units. What would you like for viewers to know or understand about you, Daniel McGowan, on a personal level? DM: From what I have heard, the film does a pretty good job of showing who I am. Friends and family have all commented that my personality shines through and I credit the filmmakers for editing all their footage so well! The letters I have received from people who have seen the film have been sympathetic but I fear people may worry too much. The film is a snapshot of my life at a time where I mentally and physically was not doing well at all. That time has passed, though, and I am in the homestretch now. There’s a huge difference between facing 30 years and having almost completed your sentence. All things considered, I am doing okay. The other thing I want people to know about me is that there really is no major difference between myself and most viewers of the film. Like them, my circle of compassion is wider than myself and my family. Similarly, I seek to live my life as close as possible to my ideals, though like everyone, I fail at that sometimes. On a less serious level, I love fantasy fiction, singing in the shower, and I am a sucker for children and animals—I’m pretty sure some of those details never made the film! The film ends with your family and friends walking with you to report to the Metropolitan Detention Center in Brooklyn to begin your sentence, which began in 2007. If you could add 30 minutes to the film to bring it up to present day, what would you add to the story? What are the most important things that have happened since you started your sentence that the public should know about? 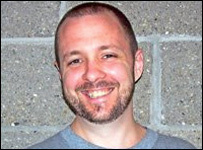 DM: If I could add 30 more minutes to the film, I would discuss how unusual my stay in prison has been since July 2007. My friends and I have joked that we should print one of those concert tour t-shirts but instead of listing the cities that shows were played in, it would list the prisons I have been at! Let’s just say I have seen more of the Midwest than I ever wanted to. After an uneventful 8 months at a low-security prison in Minnesota, I was held in contempt of court in Wisconsin during a grand jury I was called to against my will. Once that ended, I was shipped to the Communications Management Unit (CMU) in Marion, Illinois, where I spent 26 months. While there, I persistently sought a transfer hearing to dispute the rationale for my placement there, and I also finished a paralegal certificate. One day I was told to pack up and was released to Marion’s general population, where I spent 4 months and then was sent to the hole (secure housing unit). Two days later, I was driven to the original CMU—FCI Terre Haute in Indiana. I’ve been here since February 2011. I am not sure to what extent the filmmakers addressed the CMU issue, whether in the film or ‘extras’ on the DVD version. Two years ago, you wrote an insider’s account of life in the Communication Management Unit facilities that you have been housed in for most of the past 3 years. What is life like in these units? How does being housed in the CMU compare to life in general population? DM: The CMU is extremely different than general population, from my limited personal experience. For starters, the Bureau of Prisons has moved people to these units since 2006 without any form of due process. There have not been any hearings, evidence presented, or any real methods of issuing a grievance about the issue (other than asking for reconsideration from the very same people who have moved me here). This is one of the main issues we sued about in our civil lawsuit, Aref v. Holder. There is extensive monitoring of all contact between CMU prisoners and the community, whether it’s phone, visits, mail, or email. A separate part of the BOP exists in Washington, D.C. that monitors all our communications. In addition to monitoring, there is a drastic reduction in our communications that has resulted in widespread anxiety and disruption to familial relations. Prisoners in the CMU are given two 15-minute phone calls a week that must be scheduled a week in advance and take place within a specified time slot. Comparatively, most prisoners in the prison system can use 300 minutes a month. In the CMU, we have two 4-hour non-contact visits a month. There is a no physical contact allowed and the call takes place over a phone so that it can be monitored and recorded. Our visit room has a small glass window with bars in addition, which seems excessive. This is clearly one of the crueler aspects of our placement here. Many of my neighbors have chosen not to have their families visit. Their children do not understand why they cannot hug their father when some had contact visits at previous prisons. Most prisoners in general population receive up to 8 visits a month, up to 8 hours a day, where they can sit with their loved ones, hug and kiss their children, share food and play games. If there is a good aspect to the CMU, it’s the people. Many of the men here are highly educated, considerate and generous. We share our magazine subscriptions, watch BBC news and football, and lend a helping hand to those in need. The unit is highly diverse, multilingual and there are quite a few men who got raw deals from overzealous prosecutions. At the end of the day, it’s prison and living so close to others creates annoyances. Ultimately though, things here are resolved through dialogue. In the movie, when describing your political awakening, you say: “I had never seen with my own eyes what kind of world we lived in. I feel like I’m in perpetual mourning and I have been from the moment that… I kind of took the blinders off and was like, ‘Holy crap what the hell are we doing? '” Do you still feel this? And how do you deal with this deep sense that something is wrong in the world, now that you are in prison? DM: Yes, I would say I still feel this way, though ten years later, I am better able to deal with the frustration that comes with seeing the world like that. When I first got involved in activism, around 1997, I felt like I was exposed to so much, so fast. Part of this was due to where I got involved—at the (now closed) Wetlands Preserve bar, which had an extremely active environmental activism center. Each week, I learned about new injustices and due to my pragmatic nature, felt a desire to put my energy into combatting them. I still very much feel we are on a very ill conceived path but I tend to be calmer about what I see and realize that one person, by himself, cannot do everything. Prison, and I would say finding yourself in a legal case, has the effect of narrowing one’s focus. This is a dynamic that occurs due to the need to focus on your day-to-day survival and well-being. In this environment, no matter the cordial relations you may have, you are truly on your own. Your emotional, physical, and mental well-being is your responsibility. This focus on the self inevitably changes how you deal with events occurring outside the walls. It used to frustrate me to no end that I stuck in here while my friends were out there, able to work on issues we both care deeply about. Ultimately, what I learned (and I’m not suggesting this concept works for everyone) is that you fight injustice where you are. Can I, as a prisoner of the United States, really be an active participant in outside campaigns? No, of course not—though I am more than happy to share my opinions. I have done what I can, while in prison, to counter the injustice I see. Sometimes, this means refusing to believe what I have read about a prisoner and judging him on his actions and from what I see. Other times, it’s more concrete, such as soliciting the aid of various legal organizations to address the CMUs. I share what information and resources I can so people can effectively and legally fight their cases. Do you think it’s a better or worse climate for environmental activism now in 2011 vs. 2001 when the actions you are in prison for occurred? DM: Since I have been in prison for four years now, it is truly difficult for me to judge the state of environmental activism in 2011. When you are free, you learn about and absorb information in a totally different manner than when you are imprisoned. In here, I rely on what I read and the viewpoints expressed in letters by friends and family. This leads to very spotty analysis, since the information I do receive is so subjective. Unfortunately, many publications have ceased publication or gone all-digital since 2007 and there is a dearth of high-quality environmental publications. Also, the majority of people I correspond with are not heavily involved with environmental campaigns. That said, I cannot say environmental activism is in a better position now, in 2011. So much has happened since 2001 that bodes poorly for progress in environmental activism. I was amazed at how the BP oil well disaster played out, how in the aftermath, there were calls for accountability on the part of BP but as time went on, it petered out. BP set up a reimbursement fund and a bureaucratic and lengthy process by which people could be compensated. No talk was made of restoration to the Gulf or reparations for the environment or non-humans that that rely on a healthy ecology. In fact, within months, BP handled the PR struggle well and blunted public anger. The environmental movement was unable to change the long-term dynamics of deep oil drilling, and business has gone on as usual already. Another example where I feel the environmental movement is worse off in 2011 is in countering well-funded and articulate public relations campaigns for the coal, tar sands oil, and hydro-fracking industries. As scrutiny increases on one form of polluting and carbon-producing source, for example coal, the response is to highlight another source of energy, which is usually no better than the first. Coal dust spills lead to people saving on coal, which leads to nuclear being portrayed as carbon-neutral. The Fukishima disaster occurs, leading people to get fuel from tar sands oil from Canada. The process continues, yet we never move toward healthier and sane sources of energy, or more importantly, any fundamental questioning of the consumer driven culture that requires such insane amounts of energy. Do you think at all about what your life will be like when you are released? DM: Being relatively close to release, I often find myself thinking about life on the outside. A lot of my thoughts focus on employment, halfway house, probation and serious things like that. Also, I find myself daydreaming about spending time with my wife, playing with my nieces, traveling, eating good food and being able to play music—loud and whenever I want! I try not to romanticize these things and fall into thinking life will be problem-free on the outside. It’s hard because prison is just so bland, negative and soul killing that life outside feels heavenly. When do you expect to be released from prison? What are your hopes and ambitions for life after prison? What challenges do you think you will face? What do you fear? DM: As things stand now, I should be released to a halfway house in New York at the end of 2012. Then, after a few months of adjustment (which entails a job and getting passes home), I’ll go home and begin 3 years of “supervised release”. After four years in prison and many hours spent in reflection, I have loads of ideas on what I’d like to do. Primarily, I want to get on my feet, spend quality time with my wife, family, and friends, and seek out meaningful employment. My hope is to work as a paralegal or communications director for a non-profit engaged in issues I care about. Prison reform is one of these issues as is urban agriculture, the struggles against homophobia and the marginalization of activists in the US. I have ideas for different projects and campaigns, most of which are long-term and involve books, dumpster-diving and “free-cycling.” How’s that for vague? The challenges most on my mind are the preconceived notions and biases of potential employees as well as people I meet—who do not know my past. I have no interest in hiding my history, if that were even possible. Realizing that people may judge me based on being a ‘felon’ or having been convicted of arson and erroneously being labeled a terrorist is a tough pill to swallow. I don’t want to be mired in this though and instead, I plan on devoting time and energy to campaigns that seek to de-stigmatize felons and remove the barriers that deny us full personhood in this country. Remarkably, in 2011, there are many states you cannot vote in once convicted of a felony and thus, there are more than 5 million such disenfranchised people in the US today. If you could ask everyone who sees If a Tree Falls to do one thing, what would it be? DM: This is a tough question because I loathe the idea that somehow, my suggestion would be relevant or suitable for people reading this interview. In the context of this film, I would ask everyone to be skeptical in how they perceive the words and message of the US government and mainstream media. You can see by watching the film that the issues presented—about terrorism, tactics, environmental politics, incarceration—are more complex than how you will find them portrayed in governmental press releases or the newspaper. When I see the way that I have been presented in the [mainstream] media, even I don’t like myself! It’s truly important for all of us to consider the intent and political goals behind those crafting the messages we are exposed to daily. I am really appreciative of anyone who took the time to see the documentary and question the hype around cases like mine. You can learn more on my website and on Facebook. This interview was conducted by friends of Daniel McGowan in the fall of 2011.